Based on 894 customer ratings. 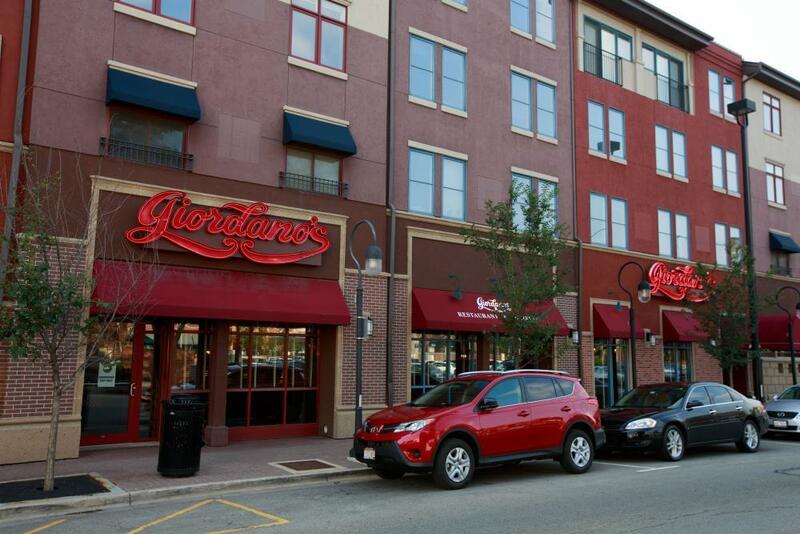 You don’t have to go to Chicago to get a taste of Giordano’s right here in downtown Naperville! Our South Main Street location has everything you need to bring the flavor home. We have a full dining room and bar, a private room for your in-house catering needs, and delivery and pickup options, too! Slow-baked, stuffed pizza — constructed using the freshest vegetables and meats, and topped with artisanal mozzarella. At Giordano’s, we’re more than just the best deep dish pizza place in the Chicago area — we’re a proud tradition cherished by Windy City residents and visitors alike! Giordano’s is the home of the best Chicago-style pizza in downtown Naperville. Bring home our unmistakable aromas and flavors—and discover for yourself why we’re the best pizza place in town. Expertise and Care in Every Pie Artisanal pizza is so much more than cheese and toppings and crust. It takes 6 trained craftsmen to create just one Giordano’s artisanal pizza, which we slow-bake to flaky, double-crusty perfection. We build layer upon layer of flavorful toppings and fresh Wisconsin mozzarella to your specifications to create an incredibly aromatic and savory taste experience unlike any other pizza delivery and restaurant in downtown Naperville! Giordano’s also has a full menu of delicious options to try in case you’re not in the mood for one of our mouth-watering pizzas. Try our pasta dishes, sandwiches and salads. Going gluten-free? Just ask what’s available!